Retired IAS officer PS Krishnan talks about the 10% reservation bill, caste and much more. 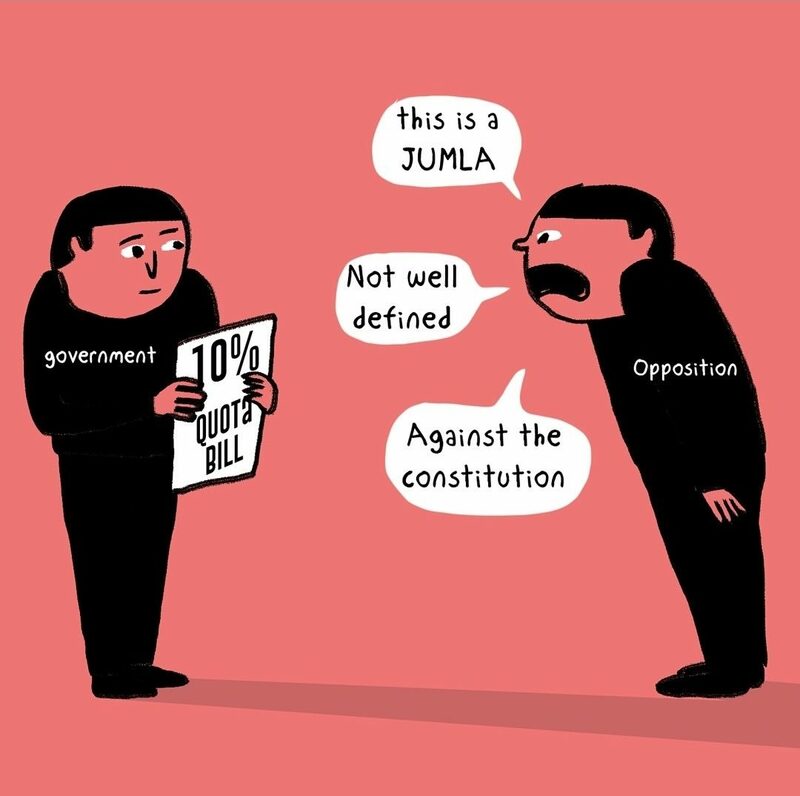 On 9th of January 2019, Parliament passed the Constitution (124th Amendment) Bill, which paves the way for 10% reservation for the “economically weaker sections of citizens other than the classes”. The act is supposed to be implemented in educational institutions from the academic year of 2019. While there is no set definition for the ‘economically weaker’, the speculation is that if a family’s income is less than Rupees 8 lakh per year and if they own less than five acres, that family is to be considered as economically weaker. “There is an economically weaker section in the forward caste, but their poverty is very different from that of the backward caste and the percentage of such poverty is very less in comparison”, said PS Krishnan, Retired IAS officer. He was addressing the listeners at a session called ‘A talk on caste, poverty, occupation and ways to equality’ at IISC here on the 19th January. PS Krishnan , who has also been the former secretary in the ministry of social justice and empowerment of the government of India , points out that there are no positives as such to this act that has been passed by both the houses. “Even after studying the act in all ways possible, the only positive that I can find is the gain that the political parties are going to have in the upcoming elections as they will get the support of the upper caste”, said Krishnan. 15(4) Nothing in [article 15] or in clause (2) of Article 29 shall prevent the State from making any special provision for the advancement of any socially or educationally backward classes of citizens or for the Scheduled Castes and the Scheduled Tribes. 16(4) Nothing in this [article 16] shall prevent the State from making any provision for the reservation of appointments or posts in favour of any backward class of citizens which, in the opinion of the State, is not adequately represented in the services under the State. Krishnan suggests that the dominant castes are not able to digest the Mandal reservation is due to the history of hegemony that they practiced over the rest of the society. “When Jag Jivan Ram was to be nominated as the PM, the members of the ministry and the party questioned about how they could serve under a Chammar. The upper caste is not able to bear the fact that the individuals who wore loin cloth and walked bare foot are now coming eye to eye with them”, explains Krishnan. Two and half decades after the Mandal commission report was implemented, backward castes are constricted into being a regional force. Mandal reservation presented them with higher education, but they (backward castes) found this prospect difficult due to lack of proficiency in English and the other was of their disinterest in philosophy as pointed out by Kancha Illiah Shepherd. “There may be 3 or 4 secretaries from the SC and mostly none from the ST community in the GoI. They have not ‘captured’ all the posts in the government sector like the upper caste population is imagining”, he points out, because of a lack of holistic education. Krishnan states that education should provide one with self-reliance, social and emotional competence and broad appreciation of the world; and the individuals from the SC/ST communities are not getting these aspects in their education. PS Krishnan was instrumental in bringing out a number of constitutional and legislative enactments like the 65th amendment act, 1990, the SC/ST prevention of atrocities act etc. According to Krishnan, using reservation as a tool is not the brain child of BJP alone. Different political parties have used this in past too. He says that the RSS or BJP is trying to include the upper caste votes along with the SC/ST votes and it is very difficult for the 10% reservation to dismantle the earlier structure of reservation as well. While the proposed bill has been already passed in both the houses, it is challenging the different court verdicts and the constitution itself. According to the 1993 SC judgement, reservation cannot breach the 50% cap and the constitution states that economic backwardness of the individual or group cannot be the only criterion for reservation. Krishnan suggests that maybe one day the nation can remove reservation from its constitution. “But this should only happen after assuring that the deprived communities have received their share. Untouchability should disappear totally and the consequences of the class and caste system should be wiped off”. Reservation is not the medicine for all the diseases. It’s the only cure for the imbalance of representation, he closed.